This article by Steve Shorrock and Amy Chung was published in The Ergonomist (newsletter of the Institute of Ergonomics and Human Factors), February 2010. It is reproduced here to give more open access and to encourage further conversation on this issue. The full article in the journal Ergonomics is at http://www.tandfonline.com/doi/abs/10.1080/00140139.2011.568636 (ask me for a preprint). As a “scientific discipline concerned with the understanding of interactions among humans and other elements of a system”, and a profession that “applies theory, principles, data and methods to design” (according to the International Ergonomics Association), ergonomics and human factors (E/HF) practice should arguably be built upon a solid research base. But do practitioners actually apply research? Do they find it useful and usable? Despite a historical schism between researchers and practitioners, such questions have, perhaps unsurprisingly, been almost completely overlooked in the literature. Yet they are questions that have profound implications for the discipline and profession. A widening gap between research and practice has been observed in many disciplines, and especially concerns research published in academic journals. Researchers have found that, while academics place a high value on research, practitioners often do not. Practitioners are often largely unaware of relevant research, or do not implement research findings, or lament that the field is not practical or relevant enough. Understanding whether such a gap exists in E/HF is relevant to all researchers and practitioners. So we conducted a study to examine E/HF practitioners’ application of research findings published in scientific journals, in terms of levels of readership, usefulness, and barriers and facilitators to application. A questionnaire was developed comprising questions about the practitioner, their access and attitude to published research, and possible barriers and facilitators to using research findings in practice. The questionnaire was targeted at practitioners who apply an understanding of E/HF to the design of interactions in real settings. We wrote to IEA federated E/HF societies to request that they ask for potential respondents. We also advertised the survey on E/HF LinkedIn groups, and emailed LinkedIn members and other professional contacts. A total of 587 usable questionnaires were submitted from respondents working in 46countries. The top five countries in which respondents worked were US, UK, Australia, Netherlands and Canada, which also approximately reflected national ergonomics society membership. The respondents represented a wide range of organisational types, application areas, qualifications and industries. Respondents’ averaged estimated work time over the most recent 12 months as an active E/HF professional was split fairly evenly between research, application and education. Respondents read an average of one scientific journal article per month concerning E/HF or related fields over their most recent12 months as an active E/HF professional. The three journals most frequently named as most useful to respondents as practitioners were Applied Ergonomics, Human Factors and Ergonomics. These were also the three most highly rated of the 13 IEA-endorsed journals (see www.tinyurl.com/IEAjournals), and only these journals, plus International Journal of Human-Computer Interaction and International Journal of Industrial Ergonomics were marked as having been read by 50% or more respondents. respondents who spent more than half their time engaged in research, against those who spent more than half their time on application. There were no meaningful correlations between years of professional experience in E/HF and reading frequency, or between experience and overall journal usefulness. Four of the five top barriers for those in academic/research organisations were related to characteristics of the organisation, with only one related to the research. However, for non-academics the situation is reversed; four of the top five barriers were related to research, with only one related to the organisation. The findings of the survey provide valuable insights into E/HF practitioners’ reported access to, and attitudes toward, research published in journals, and factors that hinder research application. The dominance of barriers related to the research itself for practitioners may parallel the drift from pragmatic to pedantic science in industrial, work and organisational psychology. The secondary organisational barriers may reflect the pressures in organisations to produce rapid results, contributing to a shift from pragmatic to popularist science in practice. This research highlighted a number of gaps between research and practice associated with organisational affiliation, research/application involvement, experience, and ergonomics society membership. Those practitioners with the most power to effect change in organisations may, ironically, be benefiting least from E/HF research. Further research is underway to examine the issues raised in more depth. However, the research-practice gaps could be reduced by addressing a number of factors associated with the research, the organisation, and individual practitioners and researchers. 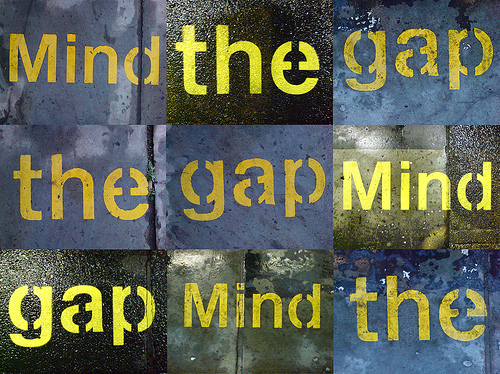 In Part 2, we report on the respondents’ suggestions for ‘bridging the gap’. We hope that this work may encourage a conversation within our discipline about the research-practice relationship. So, what are the barriers to research application for you? How do you find and access useful and applicable research among the hundreds of HF articles published each month? What value does published human factors/ergonomics research have for humanistic practitioners? What others genres of research might be beneficial to a humanistic approach of human factors? This entry was posted in Human Factors/Ergonomics and tagged ergonomics, human factors, practice, research. Bookmark the permalink.